I’ve been a nurse for almost 30 years. I have worked in hospitals, clinics, trauma centers, and I have even done house visits. Over the past 30 years, I have seen many trends that come and go. However, I would like to discuss this opiate overdose trends. We now have Narcan to treat opiate overdose. Everybody is being taught, or encouraged to carry Narcan. 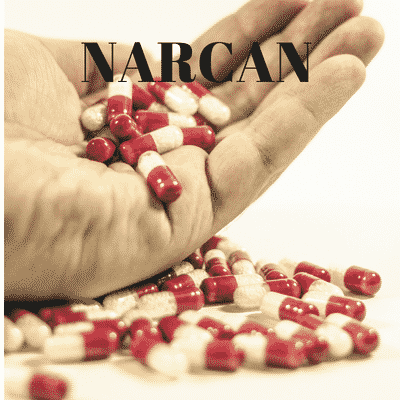 This article will discuss Narcan uses, doses, side effects, and interactions. Narcan is being carried by police officers, firefighters, family members of people who abuse drugs, and even the addict themselves. However, according to this book, Narcan is not a miracle drug. Narcan is used for opioid overdose, but it also has side effects and interactions. When I first became a nurse, in the early 90s the big problem was crack. Crack cocaine was absolutely devastating. It destroyed whole families and communities. 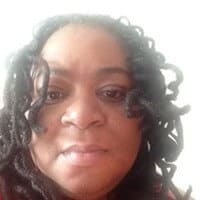 On top of that, there were many blood-borne diseases that people contracted because of injecting crack such as HIV and hepatitis C. I took care of people with heart attacks, liver diseases, and strokes related to crack abuse. Thousands and thousands were incarcerated because of crack abuse. That era was devastating but we finally got in front of the crack epidemic with substance abuse rehab, counseling, peer outreach, and behavior modification. When a person is overdosing on opiates, the respirations decrease. In fact, respiratory distress is the most common cause of death. When a person comes to the emergency room with an opiate overdose, there are certain signs and symptoms that will make a suspect that this person has overdosed. For example, the pupils will contract and appear very small almost pinpoint. They are usually nodding out, and hard to wake up. Some of the more serious signs of an overdose is a loss of consciousness and unresponsive to stimulus. The breathing is very slow and shallow. Sometimes they will also have a gurgling sound or choking sound. Finally, some of them actually lose their pulse, and they have to be resuscitated. Emergency personnel now carry Narcan on ambulances, and they are also trained to recognize signs and symptoms of overdose. They are allowed to give Narcan on the scene. 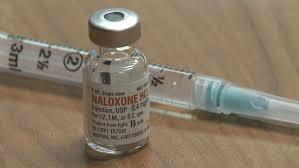 Narcan is given for drug overdoses for morphine, codeine, methadone, and oxycodone. I am concerned because of all of the “chatter” that is going on in the streets about Narcan. Emergency personnel is giving people Narcan on the street, they are resuscitating them, and then they are refusing to be transported to the hospital. However what people don’t understand is that Narcan has a very short half-life. Short life means that the drug only works for a small amount of time. The effects of the drug are still felt by the body. Narcan works by blocking the Opioid receptors. Narcan works as an opiate antagonist. Usage in Adults: Opioid Overdose-Known or Suspected: An initial dose of 0.4 mg to 2 mg of Narcan (naloxone) may be administered intravenously or intramuscularly. If the person does not wake up or has an improvement in the respiratory functions are not obtained, it may be repeated at two- to three-minute intervals. When a person is administered Narcan, they have terrible side effects. Narcan Will usually work within 30 seconds. People will wake up extremely nauseated, vomiting, disoriented and shaking. Narcan will put some people into acute withdrawal syndrome which is not pretty. Some other side effects are dizziness, diarrhea, nervousness, goosebumps, high blood pressure, low blood pressure, and sweating. People don’t like Narcan side effects.In fact, I have taken care of people who were clearly overdosed, but they were able to be awakened, and they refused Narcan. Their reasoning was that it would make them “sick”. These people often times have to be hospitalized because they have to be on a Narcan drip. There are also other street drugs out there that will interact with Narcan and cause a deadly reaction. The street drugs nowadays have many different things mixed with them. I an seeing people coming in with seizures and involuntary movements. Narcan has been hailed as a “miracle drug“. Although it has saved many lives, Narcan has many side effects and interactions. If you are addicted to drugs the best thing to do is to get treatment from a reputable rehab center.